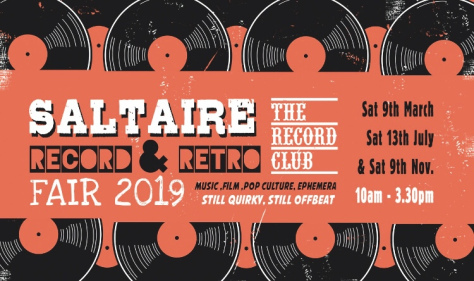 To celebrate the tenth Saltaire Festival the organisers of Record Club selected 10 vinyl albums that they think everyone should hear at least once in their lifetime. You voted for your favourite, and we squeezed the top four into a great evening of music and chat. The pakora was particularly strong, so we’ll try to make sure that it’s a bit easier on the pallet next time! Winner of the vote for the Saltaire Festival Special. Managed to beat Dark Side of the Moon and Rubber Soul in a popular vote. What does that tell you about the Record Club regulars? 4th in the vote for the Saltaire Festival event, a good ol’ bit of classic Beatles. The album that everyone owns? Very pleased that this made it into the Saltaire Festival Event. A big one from David’s teenage years. Listened to on a personal stereo much of the time back then, but great to hear it on vinyl again.